Around 2AM, we woke up to someone knocking at the neighbor’s door for like half an hour. By habit, I got on my phone and came across communications from our program director, Dr. Acharya, about the possibility of cancelling the Ethiopia trip due to rising protests. Brittany, Katie and Phani were supposed to leave to Ethiopia for the 2nd and 3rd week while Doran and I were going to stay in Rwanda. We headed to Kibagabaga district level hospital in the morning. Bosco, a newly trained BMET at the hospital welcomed us to the maintenance office. 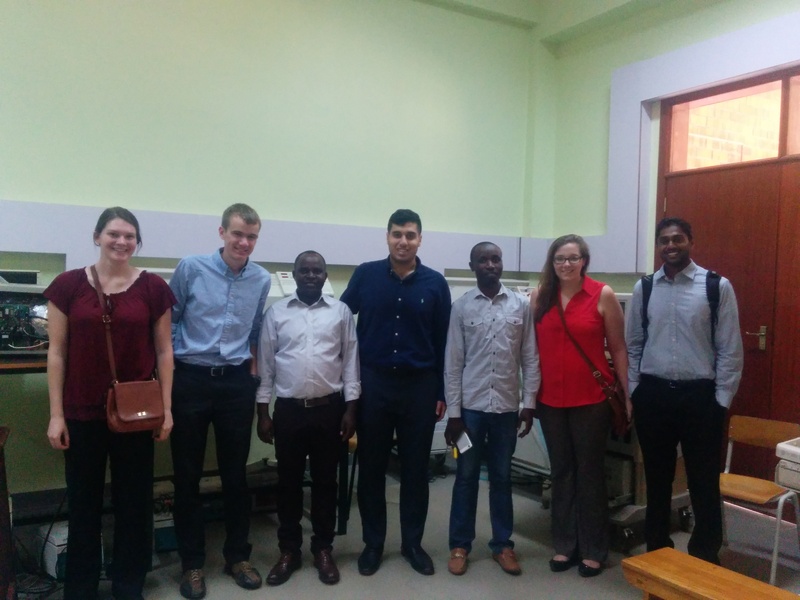 We toured the different hospital facilities including the emergency power generators, cold chain storage, laundry, and sterilization facilities. We also had the opportunity to see what the radiology, dental departments, and laboratories consisted of. Brittany and I scrubbed in to visit the ORs and talk to the staff. The contrast between the ORs at Johns Hopkins Hospital and Kbagabaga hospital was stark. We also had the chance to talk to Bosco about his job and a bit about our project. We finished the work day with an outdoor lunch at a Korean restaurant. Brittany and I felt it was time to let the world know how travelling really happened…aka the 3 boys slept while we watched the luggage. Don’t worry, WE HAVE PROOF! Aren’t they precious? Meanwhile, Brittany and I enjoyed our time together – documenting them, of course, with selfies and action shots! Brittany and I are also sharing a room with a nice large bed this week in Rwanda (time to snuggle!). So look forward to more posts, more selfies, and naturally, more candid photos of Arman, Doran, and Phani. 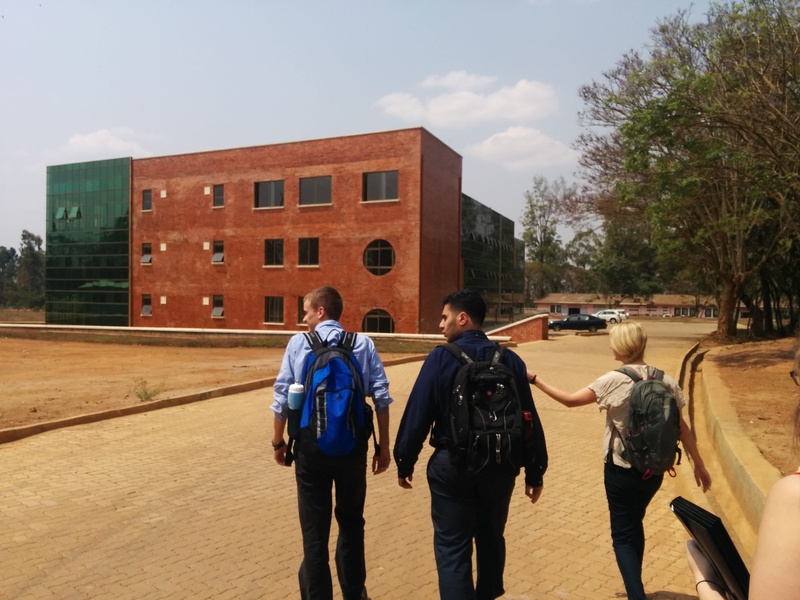 The team visited the Integrated Polytechnic Regional Centre (IPRC) in Kigali today, about a 20 minute drive from the hotel. Maddy from EWH (the one pointing enthusiastically in pic 1) introduced us to Costica and Claude from the BMET training program. We talked a bit about our project and got some great insight! 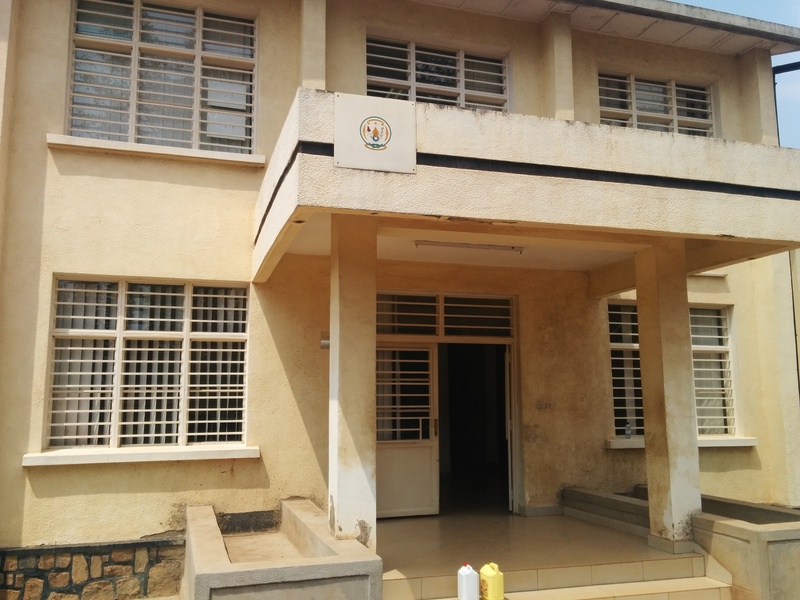 Thursday: University Central Hospital of Kigali (CHUK) and Medical Technology and Infrastructure (MTI), basically the central workshop. Conveniently, the last place is on Lake Kivu. I guess we’ll have to stay there for Saturday before heading to Ethiopia…. 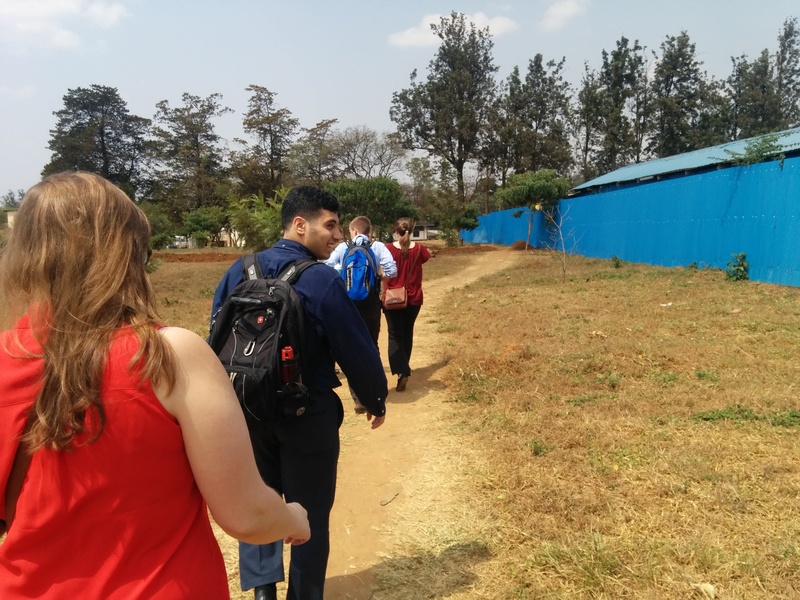 After roughly 24 hours of travel, the Tech Connect teams made it safely to Kigali, Rwanda around 1:00 pm Kigali time. We made it to our hotel (which is lovely, by the way, with beautiful gardens and even more beautiful free breakfast). After getting settled in, we had the pleasure of meeting Maddy, the EWH Summer Institute coordinator who will be helping us make the most of our time in Rwanda. She showed us around the town center and helped us get set up with local data plans so that we can stay in touch in-country. After taking care of the essentials, we had dinner at a nearby restaurant where we enjoyed thin crust pizzas (their specialty), fresh tilapia caught from a lake nearby, banana fries (not sweet at all, more like potato), and some cold Mützigs (the local beer of choice) to chase away the jet lag. We made big plans for the week ahead and will be up bright and early tomorrow morning to get started, but for now we’re all back in our rooms for an early – and much needed – 8:00 pm bedtime. We are OK and are chilling at the gate at Dulles just about to board our flight! In preparation for a long trip (19 hours of travel time), we have purchased some food, gotten some coffee, and are ready to go. Our trip first takes us to Addis Ababa, and following a short layover, we’ll continue on to Kigali. Leaving packing for the last day was not the best idea. It a bit stressful not to feel sure if I was going to pack everything on time before departing to such a foreign land. Tried to make it more fun by watching the Olympics opening ceremony but was not able to and decided to deal with the more challenging part of packing: spraying outfits with this strong anti-bug material called Promethrine in the wind and avoiding inhaling or getting it on my skin. On the bright side, it felt great when it was done! It felt even better when a old friend called to grab dinner. We went to HopDeli and were right on time because the opening ceremony was on and the US and Iran had not walked in yet. The flag bearers from both countries were really special. On one side it was Mike Phelps who is the most decorated Olympian of all time and also from Baltimore where I go to school. On the other, it was archer Zahra Nemati who carried the Iranian flag in a wheelchair and had a big smile on. I admired her on two levels: 1) she has a black belt in Taekwondo like me and 2) she picked up archery right after she was paralyzed in an accident in her teenage years. After dinner, I finished the night by saying good bye to a special friend because she was leaving to London to end her exchange year at Hopkins before I was back t.
The day was finally here! Doran was right on time to meet before we head to the pick up location. I needed to put some of my stuff in his checked baggage as I was only carrying a carry on. Some of my apartment windows were also impossible to lock and he solved that case – I am sure I was not going to unless by accident. Nothing special about the ride to the Dulles airport neither the long line to check in except being with the whole team. Doran was excited though when we got on the train to get to Terminal A – yes he loves public transportation! ng Zootopia and London Has Fallen since I passed out for the rest (thankfully!). Oh, Brittany and I tried watching Batman vs. Superman at the same time; she gave up after 10 minutes and I did so after 20. When descending, we were kind of interested to see how Addis looks like from the sky but it was too foggy. Meanwhile, I dropped something and as I was picking it up we harshly hit the ground and I bang my head into the tray (lol)! For a second I was wondering if this was going to get worse specially when it got coupled with a loud screeching noise. It turned out to be fine though; people were so confused they were looking at each other and some started clapping from the far side and I was like yeah, thanks for not killing us (:P)! The lay-over was about 3 hours. Addicted to the web and social media, we tried to connect to the free terminal wifi but failed. Then we all started reading; I started the second chapter of the People’s History of the United States by Howard Zinn. This chapter – Drawing the Color Line- was the history of slavery up to 1700. After about an hour, we the boys gave up and napped and seems like the girls got a chance to ruin our trust in them by taking these hilarious pictures! The second leg of the flight was only about two hours. They took us to the plane by bus which was nice because it reminded me of a family trip to Kish Island over a decade ago – the last time I took a bus to a plane. Interestingly, the plane had a stretcher in the back which I guess is sometimes used to transport patients. Once departed, I passed out again. I was so confused when I woke up to Brittany shaking me and even more when she asked: “beeef or chicken?”. Apparently I just said “beef” and passed out again (lol)! The landing was smooth this time and here we were in the land of a thousand hills and a thousand smiles.